I curated some stats and added some actionable tips to help you with your gender diversity recruiting strategy. Tip: When writing qualifications on your job descriptions make sure your list isn’t too long. You can do this by including your vital/must-have qualifications and eliminating some nice-to-haves. Tip: Adding salary to your job postings shows candidates you’re devoted to transparency and fair pay. Why? Because you’re showing salary regardless of candidate’s gender or background. Tip: Make sure you’re using inclusive language in your job descriptions. Ongig’s text analyzer gives you a gender score for every job description, while the inline text editor gives you recommendations on how to make your job descriptions more gender neutral. Benchmark and track specific gender metrics (company gender split, gender split by departments). Spotlight women in your employer brand strategy. 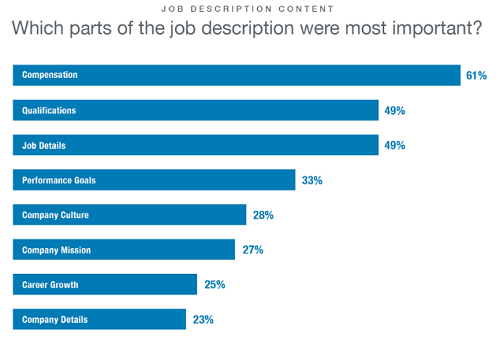 Take a more scientific approach when writing your job descriptions (make sure you avoid gender bias copy). Track source of hire to find out where you are sourcing your women candidates from. Tip: Benefits including work flexibility, parental leave, healthcare are very important to women when considering a job. Make sure you include these benefits on your job postings. 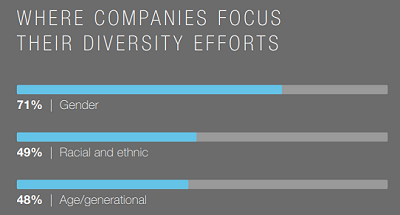 Gender diversity is becoming a top priority for employers. It’s important to start taking steps towards more gender diverse recruiting strategies.